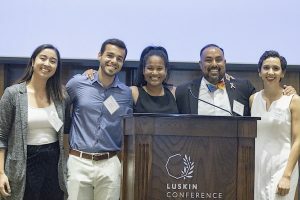 Two UCLA Luskin Urban Planning alumni received prestigious awards for their work as doctoral students from the Association of Collegiate Schools of Planning at its annual conference held this year in Buffalo, New York. 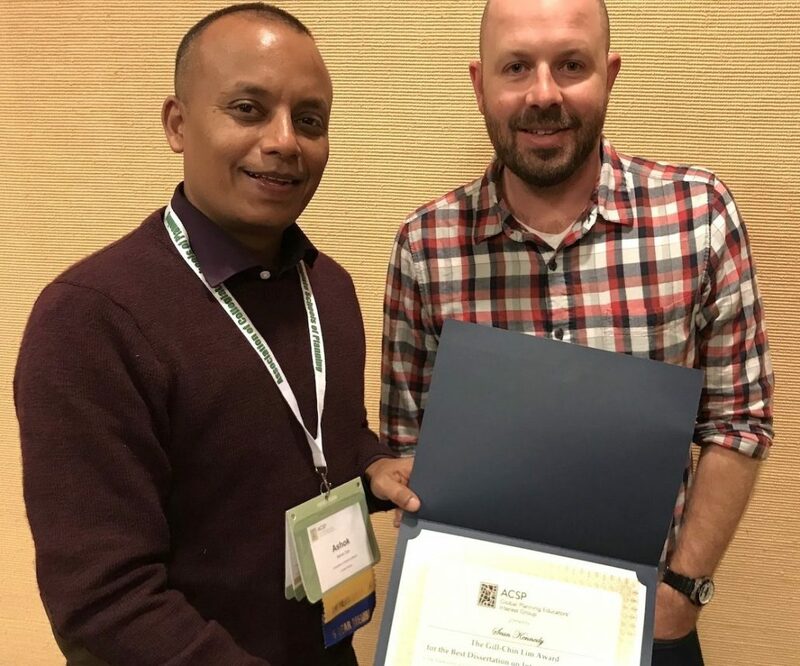 Sean Kennedy UP Ph.D. ’18 is the winner of the Gill-Chin Lim Award for the best dissertation on international planning. 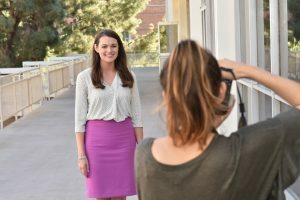 Anne Brown, who also completed her Ph.D. in spring 2018, won the Barclay Gibbs Jones Award for the best dissertation in planning. Brown is the third Luskin alum to do so in the last four years, said Brian Taylor, professor of urban planning and director of the Institute of Transportation Studies at the Luskin School. 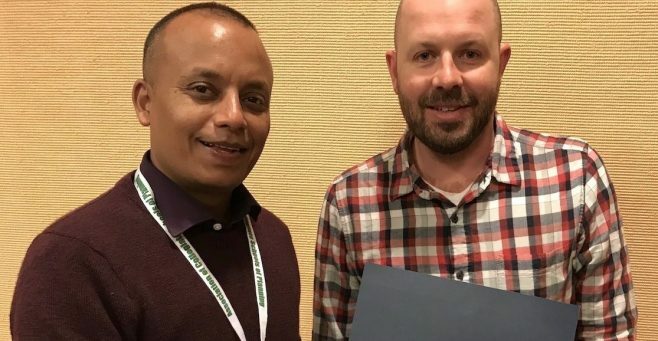 In addition to receiving a cash prize of $1,000, Kennedy was invited to present his paper, “Global Energy Transition and their Contradictions: Emerging Geographies in Energy and Finance in Indonesia and California,” at the ACSP conference. 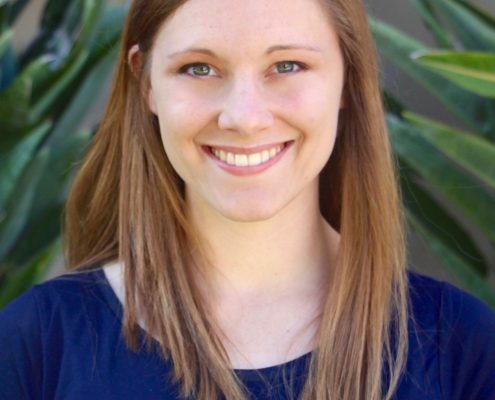 Kennedy is currently a postdoctoral researcher at the California Center for Sustainable Communities at UCLA. 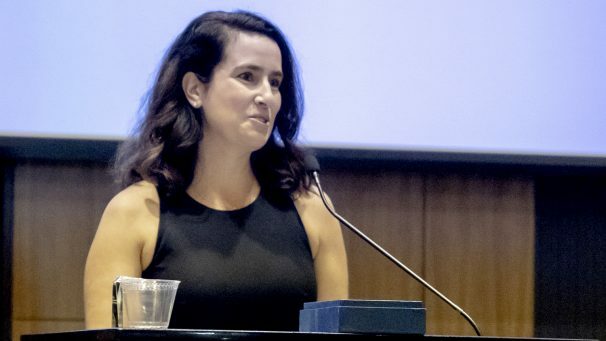 Brown is now an assistant professor in planning, public policy and management at the University of Oregon. 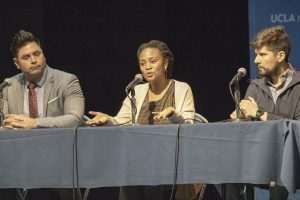 Since its publication, Brown’s award-winning work has been noted in the media and was the subject of a Los Angeles Times op-ed she authored on racial discrimination in the taxi industry. 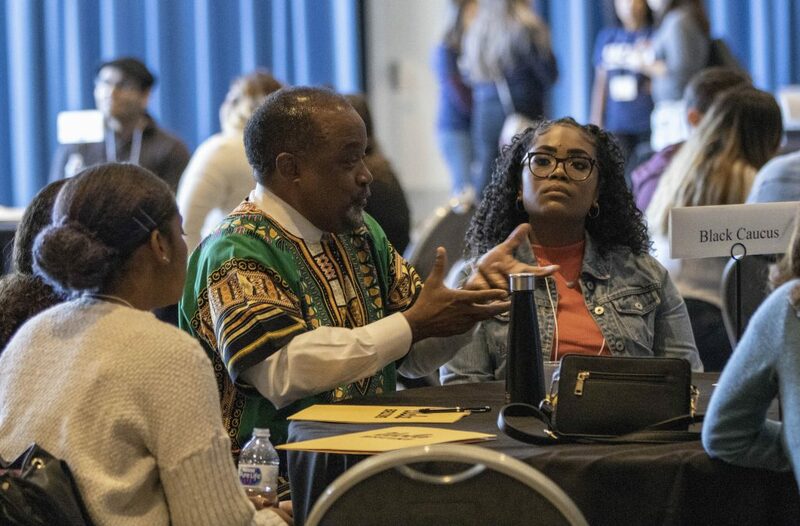 Brown received $500 and also was invited to present her dissertation, “Ridehail Revolution: Ridehail Travel and Equity in Los Angeles,” at the conference. Cecelia V. Estolano, right, has been named to the UC Board of Regents. 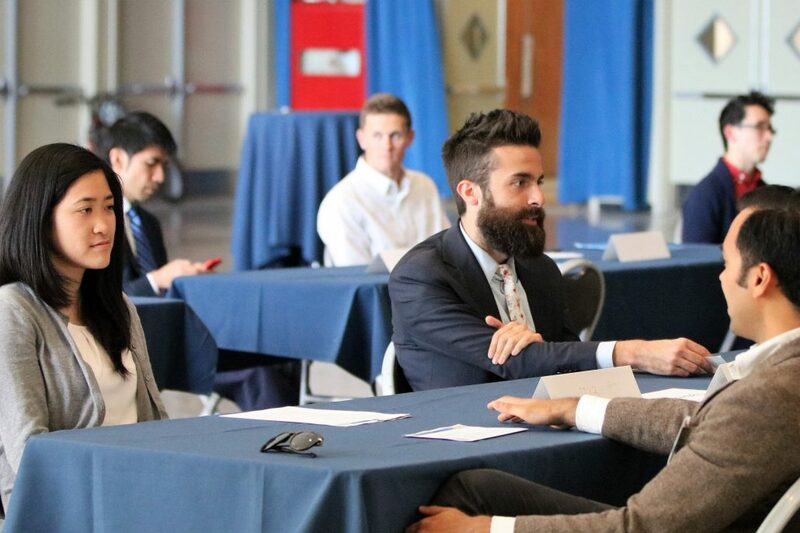 At left is Richard France MA UP '10 and Urban Planning Chair Vinit Mukhija. 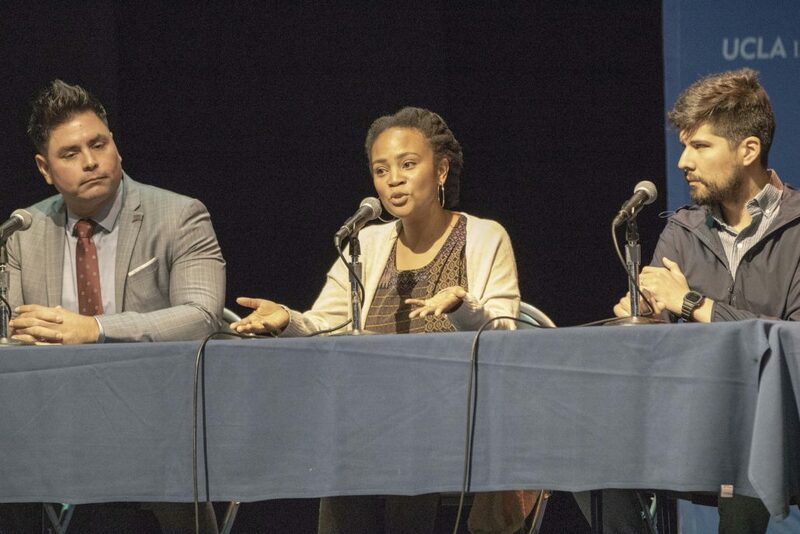 Photo by Amy Tierney. 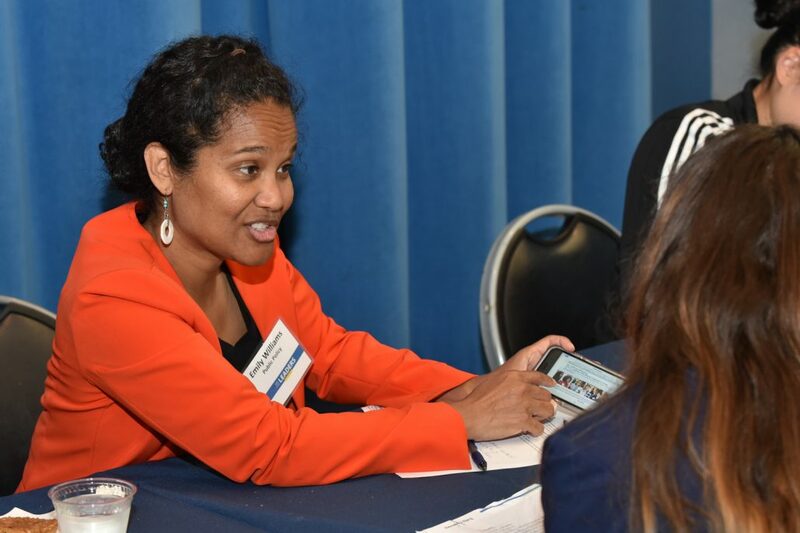 Cecilia V. Estolano MA UP ’91 has been appointed to the University of California Board of Regents. 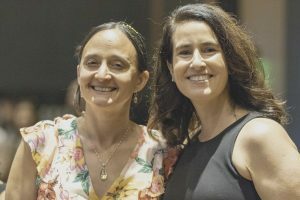 Estolano, who teaches as an adjunct faculty member at UCLA Luskin, is one of four new regents appointed by Gov. 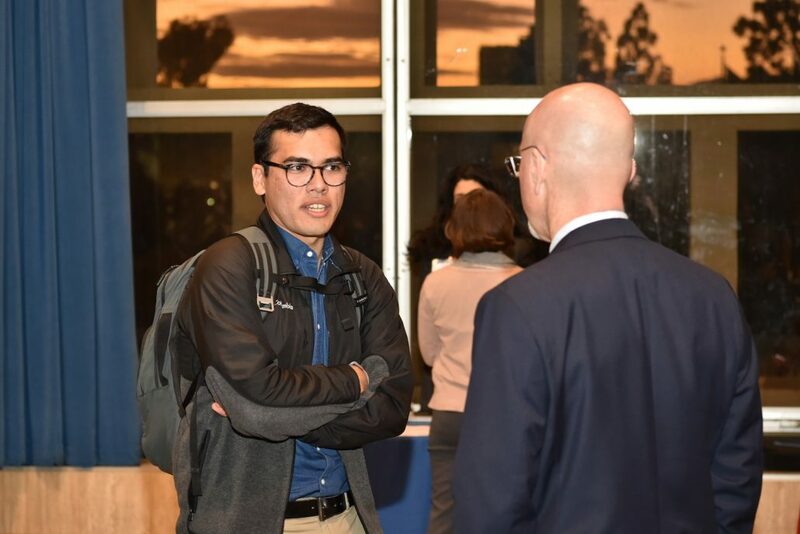 Jerry Brown on Aug. 6. Estolano, an expert in sustainable economic development and urban revitalization, is chief executive officer at Estolano LeSar Advisors. 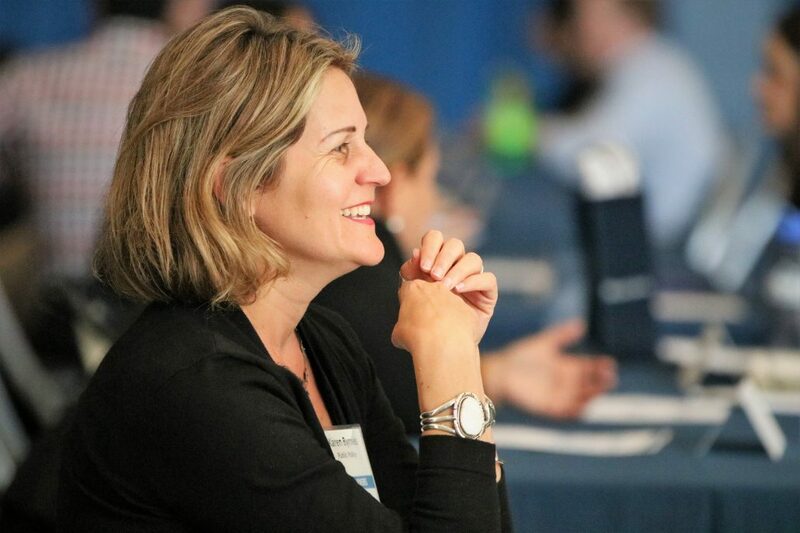 She co-founded the firm in 2011 with UCLA alumni Jennifer LeSar UP ’92 and and Katherine Perez-Estolano MA UP ’97. 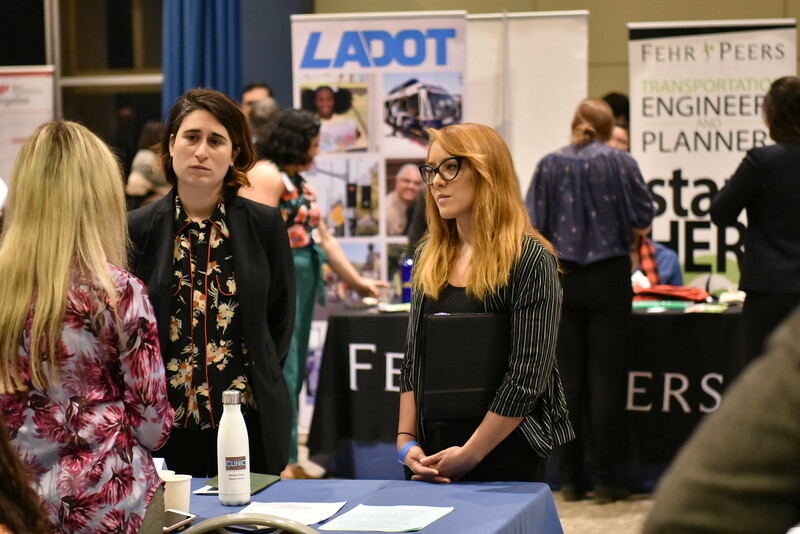 Estolano’s long list of accomplishments includes serving as chief executive officer at the City of Los Angeles Community Redevelopment Agency and as a senior policy advisor at the U.S. Environmental Protection Agency. 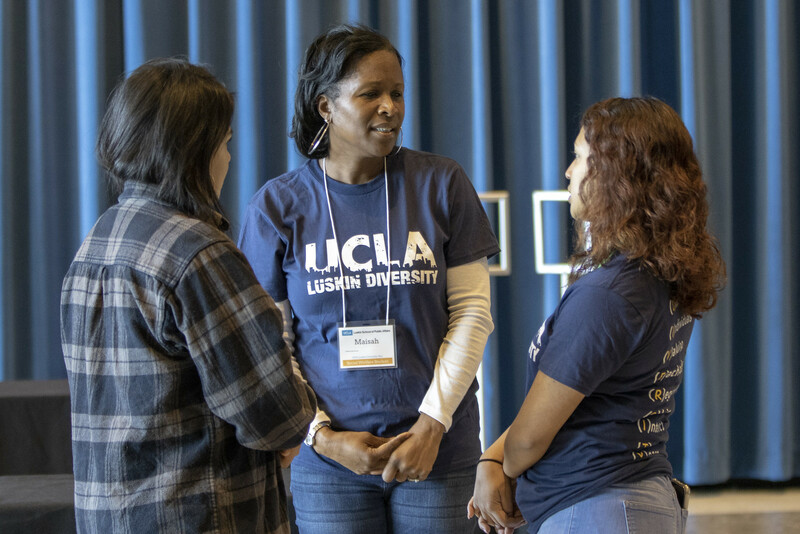 In addition to her UCLA Luskin master’s degree, Estolano earned a juris doctorate from UC Berkeley and previously served as counsel at Gibson Dunn and Crutcher LLP and as special assistant city attorney in the Los Angeles city attorney’s office. 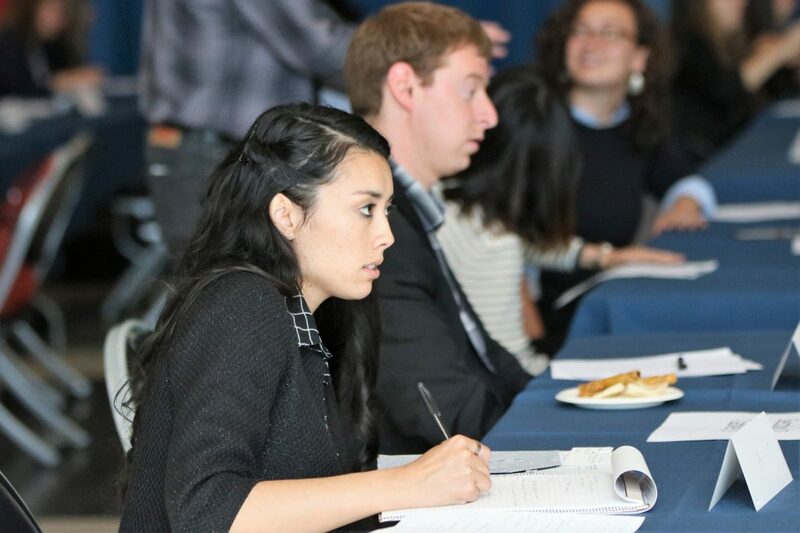 New appointees to the UC Board of Regents, who must be approved by the California Senate, serve 12-year terms. 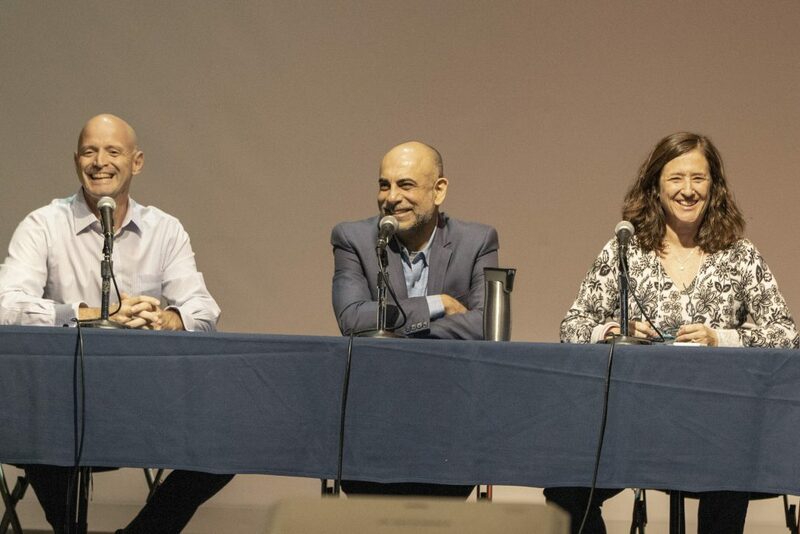 Read about Estolano, center, LeSar and Perez-Estolano, founders of a Los Angeles-based planning and policy firm. 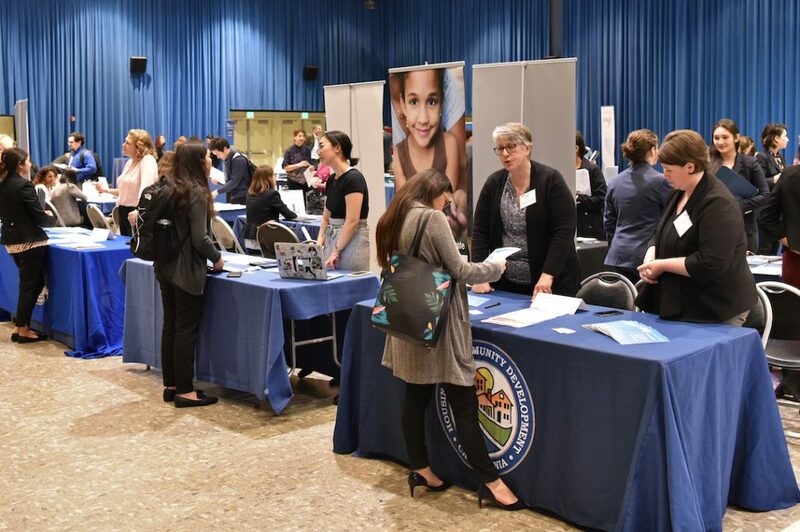 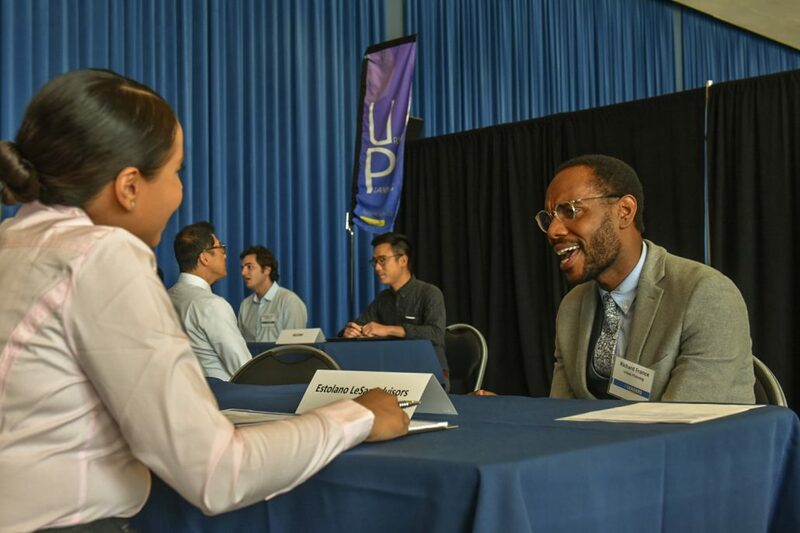 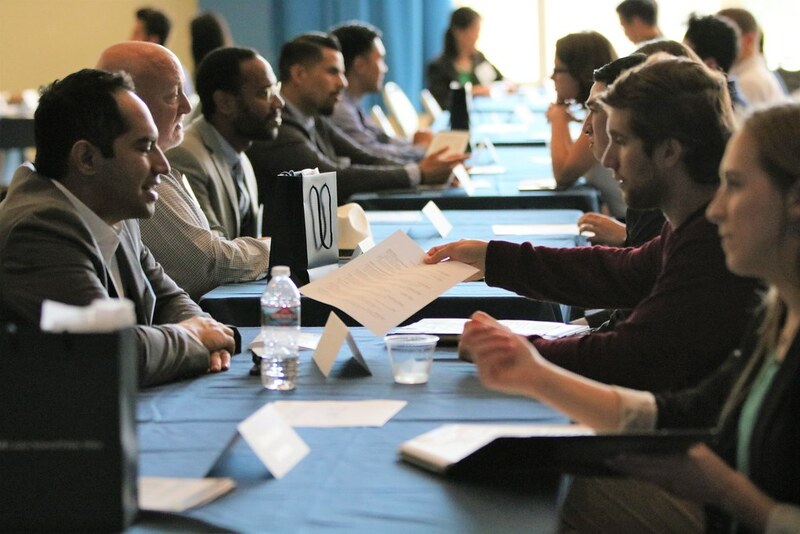 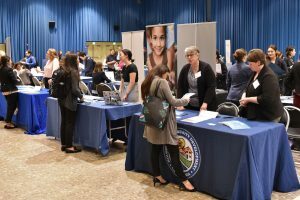 More than 60 alumni returned to UCLA Luskin on April 26, 2018, to provide informational interviews to students during the second annual Alumni Career Connections event. 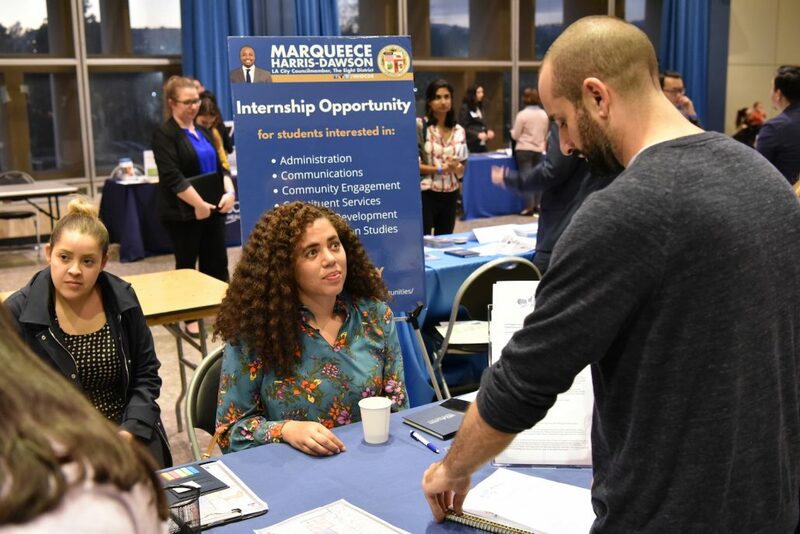 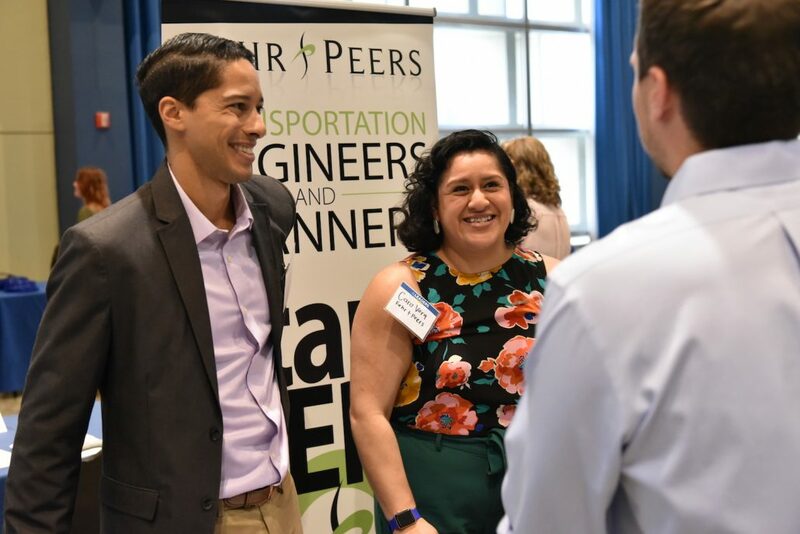 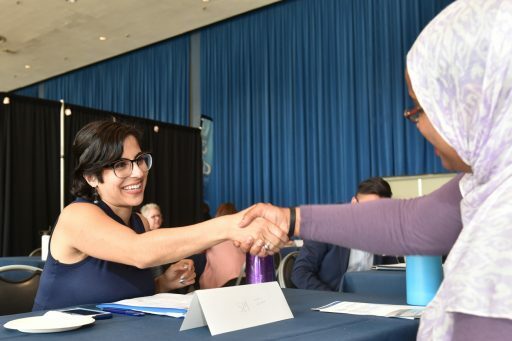 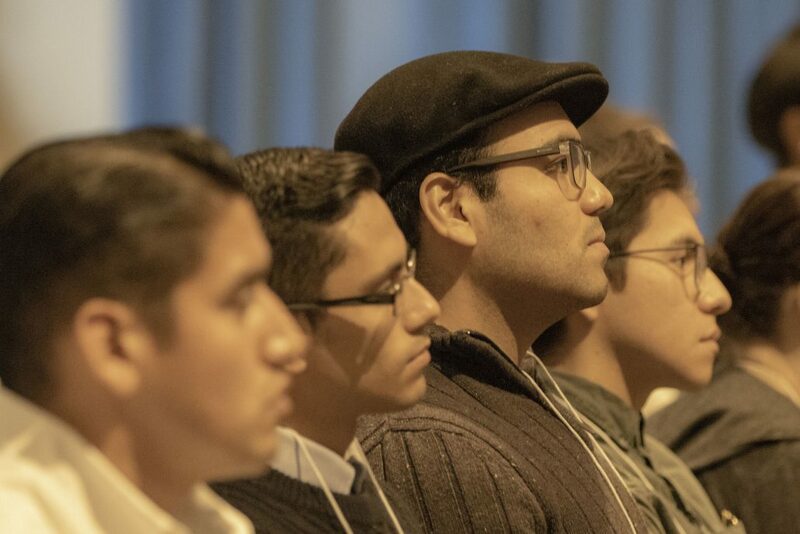 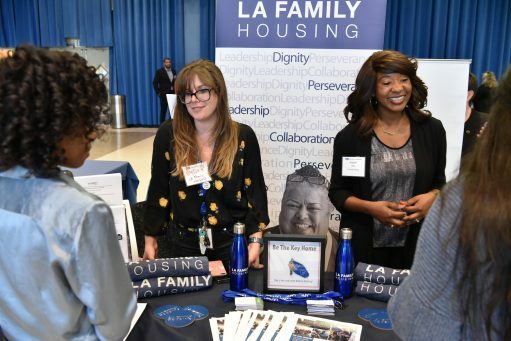 The meetings gave Urban Planning, Public Policy and Social Welfare students an opportunity to meet graduates of the School who serve as Luskin Alumni Career Leaders and receive career advice, learn about job opportunities and connect with practitioners in their fields of career interest. 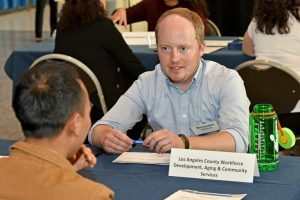 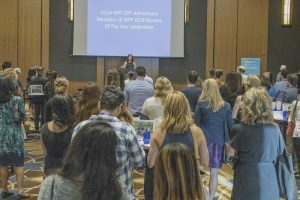 The number of alumni volunteers grew by 30 percent this year, giving UCLA Luskin students additional opportunities to gain invaluable information. “A 2017 Career Services survey ranked alumni networking as one of the graduates’ top two sources of job leads, so it’s essential to provide these opportunities to students,” said VC Powe, director of Career Services and the Leadership Development Program. 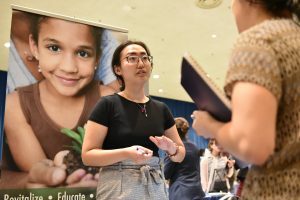 This year’s Career Connections event was expanded to include a resume station and a free photo booth for LinkedIn and other website headshots. Many students, such as first-year public policy student Sarah Rubinstein, seized the opportunity to improve their professional profiles by getting photos taken. Others worked with Social Welfare alumnae Christina Hernandez and Juliane Nguyen and Public Policy alumna Emily Williams to review their resumes. The three also coached students on how best to formally present their information for interviews. 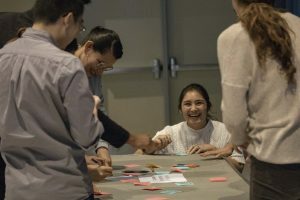 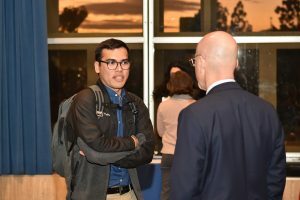 The meetings did not end once the doors were shut in the Ackerman Grand Ballroom; some alumni joined students for dinner or coffee and many exchanged business cards to stay in contact with their newfound UCLA Luskin connections. 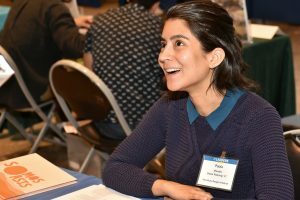 Ruby Ramirez, who is in her second year as a dual MPP and MSW student, and C.J. Horvath, who is in his first year of the MURP degree, were two of the attendees who said they gained important connections with new alumni, while reinforcing their current networks. 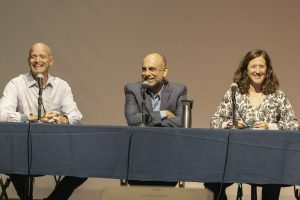 “I thought the whole event was done really well,” Horvath said. 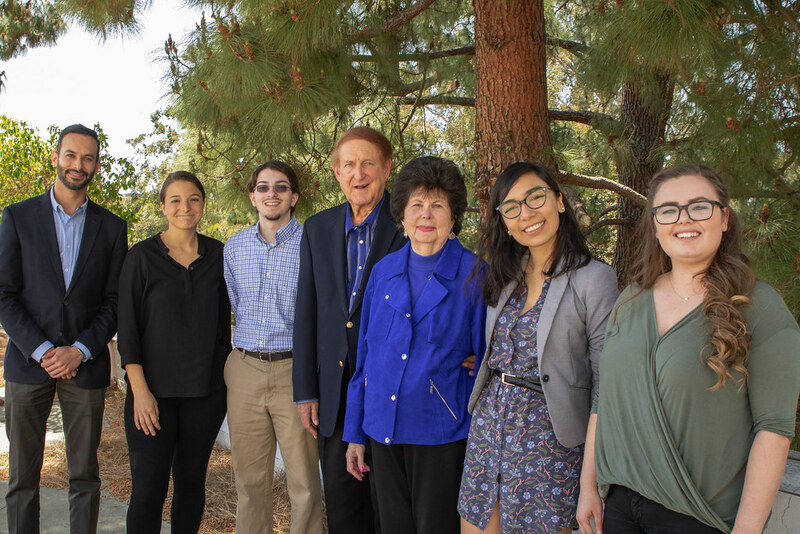 Lindsay Graef MPP ’19, Ryan Weinberg MPP ’19, Estefania Zavala MPP ’18, and Taylor Wyatt MPP ’18 are all recipients of a fellowship award from UCLA Luskin thanks to Calvin “Cal” Gross and his wife, Marilyn Gross. 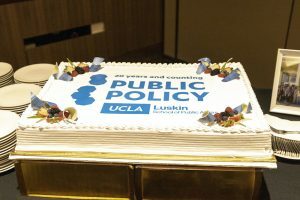 The couple, who are longtime supporters of the UCLA Luskin School of Public Affairs, stopped by campus to meet the students and engage in conversation about their futures during a luncheon on April 13, 2018. 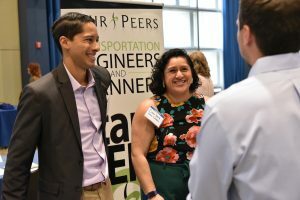 The Calvin and Marilyn Gross Fellowship recognizes policy students for their commitment and involvement in public service, and the luncheon gave students an opportunity to talk about the research they have undertaken in the MPP program. 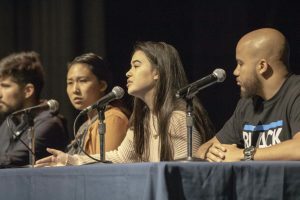 Cal Gross also talked about his own life and connection to the School, mentioning that he was a childhood friend of former Massachusetts Gov. 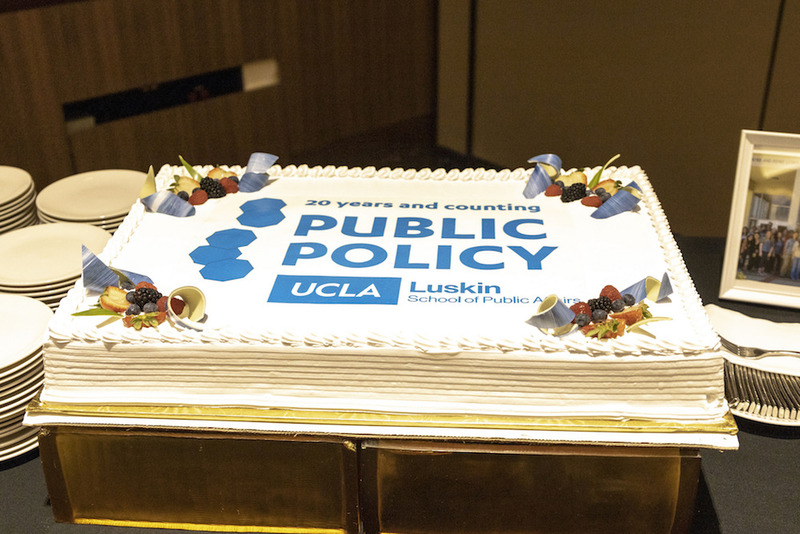 Michael Dukakis, who teaches at UCLA each winter quarter as a visiting professor of public policy.